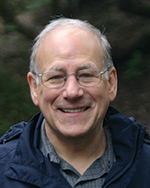 Cary Sneider is Associate Research Professor in the Center for Science Education at Portland State University in Portland, Oregon, where he teaches research methodology to teachers in a Master’s degree program. In recent years he served the National Research Council as design lead for technology and engineering to help develop A Framework for K-12 Science Education: Practices, Crosscutting Concepts, and Core Ideas, which has provided the blueprint for Next Generation Science Standards (NGSS). He then played a similar role on the writing team to produce the NGSS, which was released in April, 2013. The recognition that teachers would need access to instructional materials to help them meet the new standards led Cary to develop the current volume, Engineering Curricula Ready to Go! During his junior year at college Cary had an opportunity to teach at an Upward Bound program, and found that he enjoyed teaching even more than research in astronomy. In subsequent years he taught science in Maine, Costa Rica, Coalinga California, and the Federated States of Micronesia. He returned to college, this time to obtain a teaching credential and eventually a PhD degree in science education from the University of California at Berkeley. He spent nearly thirty years in Berkeley, developing instructional materials and running teacher institutes at the Lawrence Hall of Science. He spent another decade as Vice President at the Museum of Science in Boston, where he developed a high school curriculum called Engineering the Future, and finally moved to Portland, Oregon, to be closer to children and grandchildren.